12 Pete Lawrence, 04/20 The arrival of Kareem Hunt will complicate things for Chubb. 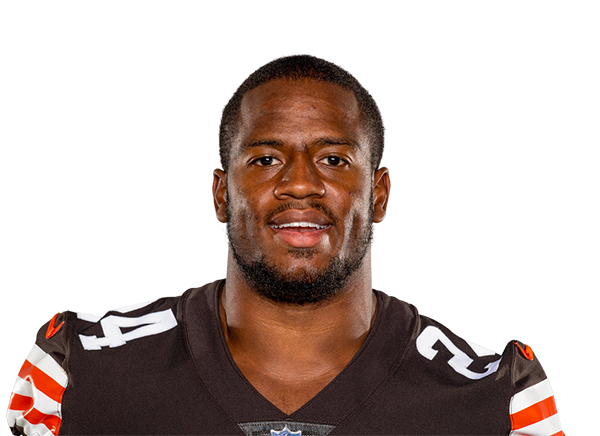 But, Chubb has the first eight games of the season to establish himself as the focal back for the Browns offense. 15 Rob Willette, 04/14 Always clearly the superior player, Chubb shined after taking the Cleveland backfield over following the Carlos Hyde trade. A freaky athlete who looks all the way back from a devastating college injury, Chubb is an elite talent on an ascending offense. 19 Jake Anderson, 03/18 The Kareem Hung signing hasn't helped Chubb's outlook but I'd be buying if anyone is panicking. 5 Bruce Matson, 04/18 This is the best situation for Chubb. He will finish 2018 as the lead back in Cleveland. 8 Joseph Nammour, 04/17 He's one of the best RBs in the league, but he needs more reception upside to stay a perennial RB1.